Those who follow the Mystery School will know that the Universe is literally teeming with life on other stars, other planets, in millions of galaxies and universes. Alcheringa, Jalarm, Cosmic Sai Baba and The Source (God), the Creative Source of The ALL have shared that there are “star-people”. They are humanoid in appearance, sometimes have large eyes and others are insectoid, yet again there are others who have odd ears (the Hathors) and there are those who look like animals. In this session of The Mystery School, the ladies have received an image of a Dog headed being and are asked to research and seek questions about this race of beings that have exist, have been here on the Earth, and their relation to the dogs on Earth in this day and age, along with their traits and characteristics. Group: The Third question was about where the ‘Dog looking Race’ comes from? 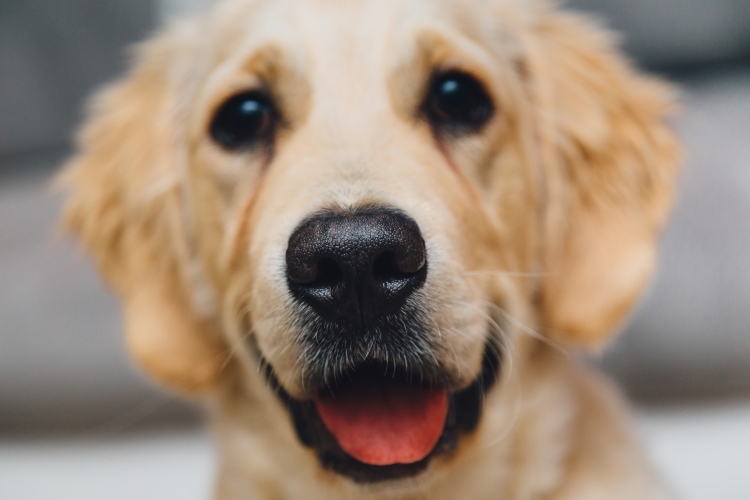 The Source: (God) It is I God, I am glad you have brought this subject up about Dogs, because dogs are very much loved by many, many people on this Earth – no matter what race they come from on this Earth. So I will make a point about that – in that the dogs themselves actually do play a part of holding divine light and energy from The Source of All Creation in the form of unconditional love. And this is what is in the Dog. Sometimes,for one reason or another they do – it is very rare – but they do lose the way the same as humans do, and behave badly and attack. But on the whole, they want to give love and protection. The Source: (God) Sometimes the attack is prompted by their desire to protect, but there is a misunderstanding in the way humans behave and what the dog is thinking. 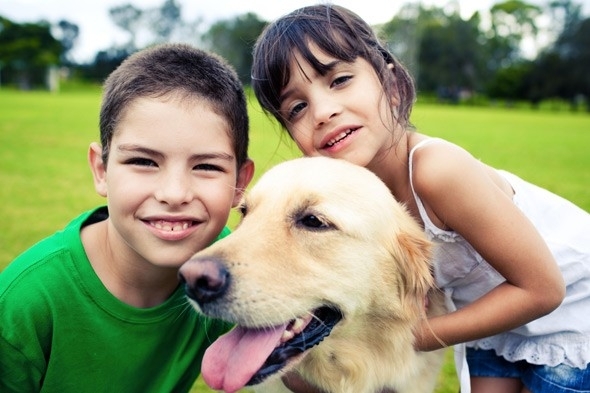 For they do have a consciousness – it is well known that people claim when they have a pet such as a dog that they are able to communicate with them. This is true – the dog may not speak the language but he does understand the` feeling and the intent of what is being said. The dog does have a role to help and assist, by it’s very existence on the earth it is actually showing unconditional love. The Source: (God) When the Beings of Light talk about Unconditional Love they talk about what the dogs play out here and despite quite often when they are mistreated they bounce back and come and try to give love to replace that bad treatment and to win the heart of who is treating them badly. Sometimes it does not work, and that makes them feel very sad. Rather than feeling angry and wanting to fight back, they will rather wilt and wish to die. This is the dog’s life. This is they way they are and it is demonstrating to all humans about the Race that the Dogs come from in the first place. Now the Race that exists in the World of the Stars is coming from upstanding dog-like people. In that their face is similar. But it is human in that sense that we understand – and by we I mean here on Earth. 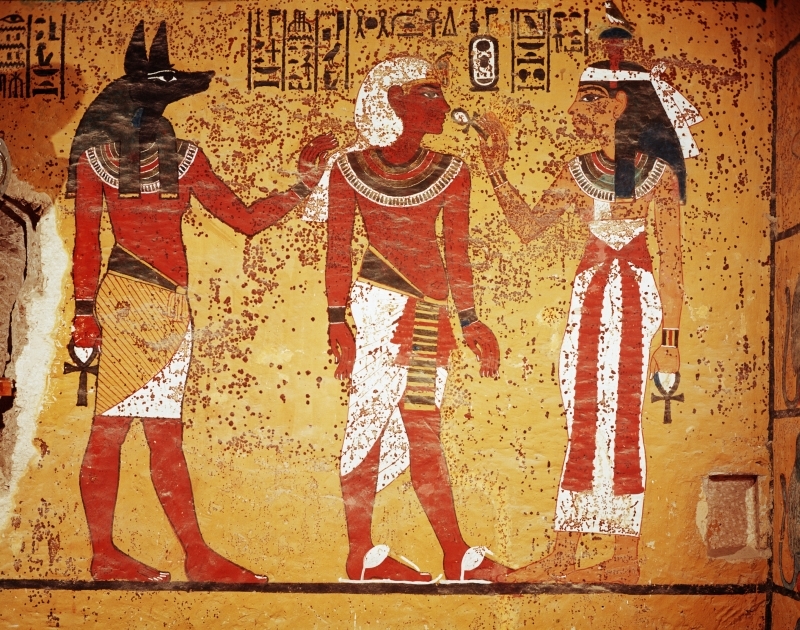 And so I am speaking through Valerie and she is seeing the Dog Face I am showing to her, and in a way it is a bit like hieroglyphs in Egypt as Anubis – he is a Being and he has a face like a dog. He has ears that stand up and is readily recognised at all times. 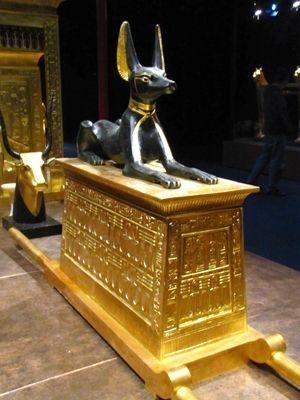 Anubis,Egyptian God of the Dead guarding the Chest. Found in Tutankhamun’s tomb. The Source: (God) He is said to be a guardian of the lower realms, but people have to pass when they leave their earth body. Because they are still connected to the life that exists on this earth in between travelling to the World of Light. It is a place of darkness but nothing to be concerned or worried about – it was never meant to be a place of Hell – it is just a place to pass through when the earth-body is dropped away and when the Light body is moved further on towards the World of Light. 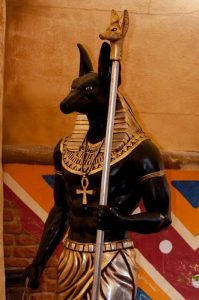 Anubis is there to be with people – to assist people on that journey through (if I can put it that way) to return to the Light Beings or the Beings that come from the star worlds that do look like the Dog Race – they are a beautiful race. They do have love in their hearts and they have it in the Universal Sense that it is unconditional. There are other names for their particular race – but I would like you to think about it and see that it exists in the other worlds of your galaxy and your universe. So would you like to ask questions about these Beings? Jacqui: Could you be a Dog and then be a human – In the next life? The Source: (God) The energy of the Dog Race – yes it is possible for them to graduate and take on a human body – it is not the other way around, but it can – yes, Indeed. I would like to correct that in that it is not a dog that has been on Earth but it may be a Dog that is connected to the Dog Race that can become a human. There are opportunities for races that look very different from a human – that can incarnate into a human body through the consciousness of the Source which is what helps them to grow to who they are and a personality on earth. The Source: (God) Do you have a question about that? Jacqui: Yes, the question I have is would a dog re-incarnate into a family who may have some karma or attachment to a certain being … Could a dog come back as another dog in another form? The Source: (God) Yes it can, that is something I am glad you have asked because that happens reasonably often. I am not saying always … … There is a story that the same dog incarnated into the same story as the human. There are many stories that are agreed to come together after they have come to Earth. Does that answer your question? The Source: (God) And that is why there are some who have a strong familiarity with their animals. Because they have known them before. But we are focusing on the dog at the moment. 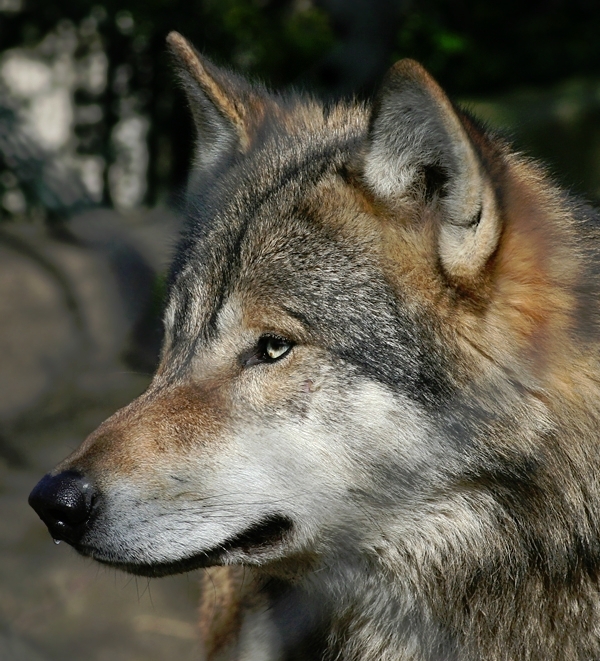 They feel that they have known them before and the animal itself behaves as if they already know them. And that is true. It is mistake to see a life as always beginning or ending because we really are continuing into eternity – into infinity. The Source: (God) I could also mention the wolf that has the symbolism of being a Teacher – and that is also drawn from the knowledge of humans who have come to understand from the star people’s teachings that wolf (from the dog race) has come on a special mission onto this planet to raise the consciousness and to lift the energy to Love. There is always exceptions of course, but you understand that. The Source: (God) So if there is nothing more, My Dears, I will close the meeting. Thank you.